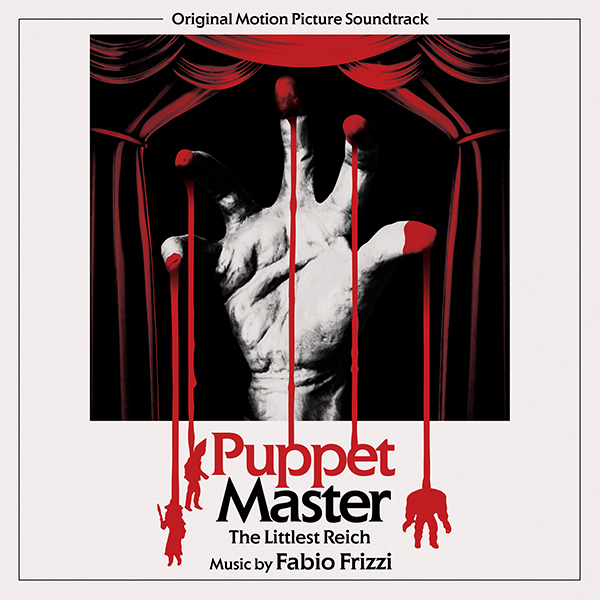 Lakeshore Records and Fangoria Presents have teamed up to release Puppet Master: The Littlest Reich—Original Motion Picture Soundtrack which features an original score by legendary film composer Fabio Frizzi (Zombie, City of the Living Dead, The Beyond), digitally on August 10th with a vinyl version forthcoming. This is the first soundtrack to fall underneath the banner Fangoria Presents from Cinestate. Written by by S. Craig Zahler (Brawl in Cell Block 99, Bone Tomahawk) and starring Thomas Lennon, Udo Kier and Barbara Crampton, the film was produced by Cinestate in conjunction with Fangoria and will have a limited release in theatres beginning August 17th. Based on the Charles Band cult classic, the new reimagining of the Puppet Master series has been garnering rave reviews for it’s over the top gore and dark humor. Says Frizzi: “I started working early in film music. It was the beginning of the 70s, Italian cinema was very prosperous, and there were productions of all kinds. I remember that the common element among them was enthusiasm, a deep love for what is called the seventh art, and is for many producers, directors, screenwriters, and workers first of all, a passion. It's been a long time, but Cinestate involved me in this new adventure, which has had many points in common with my early experience in film music. In each one of them I found that atmosphere, that enthusiasm, that strong passion for cinema. And I immediately felt at home.